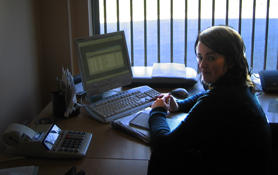 If you would like to contact us regarding our services or anything else you've seen on this website, you can do so by reaching us at the address below. 1. Take the N2 southbound to Dublin. 2. 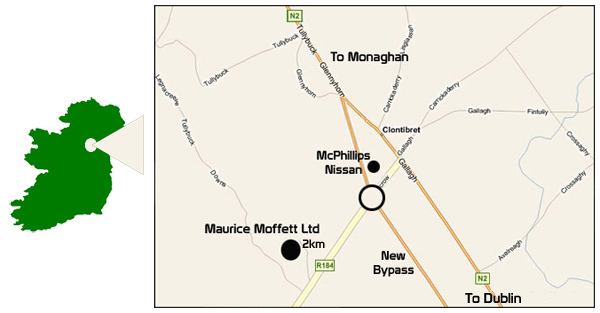 After 12km, you will enter Clontibret roundabout at McPhillips Nissan Garage. 3. Take 3rd exit for Ballybay, the R184. 4. Continue for 2km then turn right at the crossroads. We are immediately on left. 1. Take the M1 towards Belfast, then take Ardee/Derry exit (N2). 2. Continue on the N2 approx 50km to the Clontibret roundabout at McPhillips Nissan Garage. 3. Take 1st exit for Ballybay, the R184.